László Garamszegi's new edited volume, Modern Phylogenetic Comparative Methods (and their application in evolutionary biology) is now out from Springer and it looks great! Check out the book's website for titles & abstracts of the over 20 chapters in this 500+ page volume. 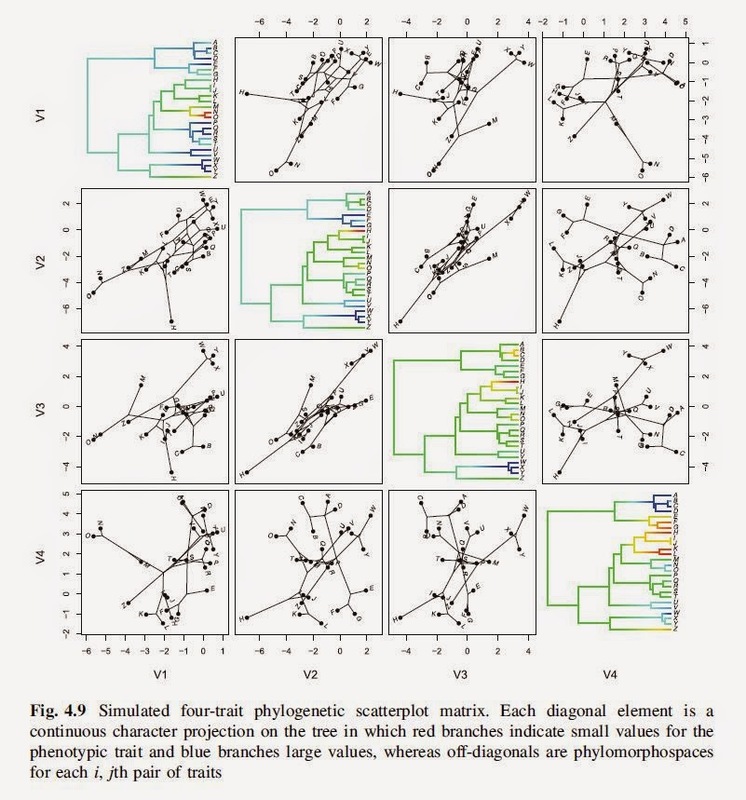 The picture below is a screen grab of Figure 4.9 of the chapter, demonstrating a 'phylogenetic scatterplot matrix' - one of the many plotting tools that I highlight in the chapter. The book website also features information about a symposium that is being organized this fall in Seville, Spain that I am also planning to attend. More info on that later.